John Thomson joined Stonebridge in 2016 as the Chairman of its Investment Committee after a 25+ year relationship of investing as a limited partner and significant co-investor in Stonebridge transactions. 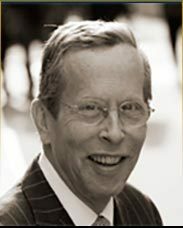 From 1984 to 2011, John was a partner of Norwest Equity Partners of Minneapolis and New York and was instrumental in raising six private equity partnerships and three mezzanine partnerships. Additionally, John is the Chairman of Thomson Equity Partners, LLC a New York based private investment firm, Chairman of the Investment Committee of Harkness Capital Partners, a mid-market private investment firm, and a board member of Dermot Companies, a New York City based real estate investment firm. John is on the board of trustees of MOMA PS1, the School at the Art Institute and on the Modern Women’s Council of the Museum of Modern Art. He is a graduate of the University of South Dakota with a BS in Management and an MBA.